When it comes to living a healthier life, many patients may opt for the sugar-free lifestyle. While this is a great choice for your health and well-being, some patients may assume that all sugar-free choices are good ones. Unfortunately, some sugar-free sodas and snacks are not as healthy as you might assume. Join Dr. Armin Abron and our team as we take a deeper look at sugar-free carbonated drinks and snacks, and what traits they still possess that can damage your teeth. First off, the reason most patients avoid sugar is due to tooth decay, but few understand how tooth decay actually occurs. It’s a combination of poor oral care and bacteria that reside in your mouth. These bacteria become attracted to sugar and carbohydrates left over from your meals, and consume these food particles. However, as they consume, they also dispense waste in the form of acid that coagulate to become plaque, and eventually tartar. This plaque and tartar buildup eats away at the enamel in your smile, exposing the underlying layers of your tooth. Some patients believe that eliminating the food source for this bacteria, such as the sugar, will keep the tooth decay at bay. But when it comes to soda and certain snacks, simply choosing the sugar-free option is not always the best choice. Soda and performance drinks, even without sugar, possess a trait that can still harm your teeth: acidic additives. The combination of carbonation, acid, and low pH can wear away the enamel with prolonged use, even without bacteria. Unfortunately, as the enamel is eaten away, this makes the tooth more susceptible to bacterial infection, which ultimately leads to tooth decay anyway. Be especially aware of flavored sodas that contain citric acid and phosphoric acid, such as orange or lime-flavored sodas. To reduce the effects of these acids, drink water or clean your teeth after drinking soda. Now, we’re not saying that you should never drink sugar-free soda, but just drink this treat in moderation or consider other alternative drinks. Like soda, juices should be consumed through a straw to avoid it washing over your teeth, and (depending on the type of juice) will be less acidic than it’s carbonated counterpoints. Water is always the best solution when it comes to choosing something from the beverage menu. Water can wash away the bacteria and acid content from other food and drinks. Are you trying to care for your teeth but find that you’re stumped on what you can drink? Don’t be afraid to ask Dr. Armin Abron about what’s best for your smile. 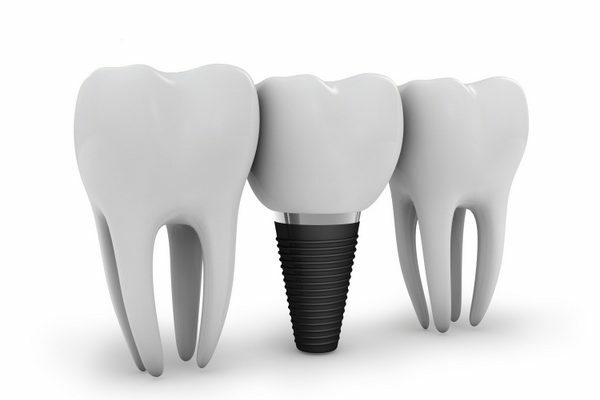 In addition, if tooth decay has worn away your teeth to the point where you need to replace the damaged ones with implants, contact us right away.